We carryout underwater surveys of the different surfaces using a control system.In this way we continue to show our commitment to the latest and newest technologies developing our own system which makes this equipment unique and unrivalled in the current market for the execution of this type of measuring work. It also allows us to work with greater safety, speed, effectiveness and accuracy. 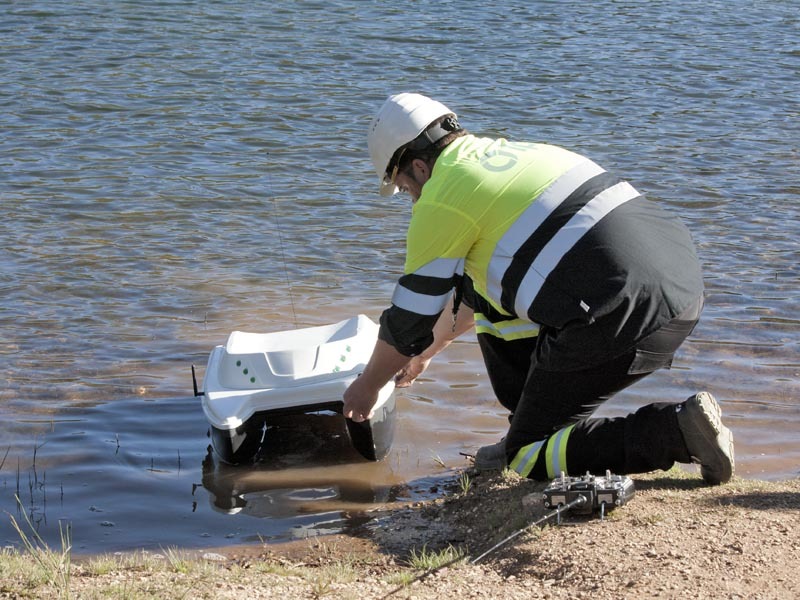 This equipment has been designed to work in specific waters such as tailing ponds, old open cast mines or industrial reservoirs where exposure is considered harmful to workers’ health. This system has been completely developed by our R+D department which enables us to make continuous improvements in both hardware and software. 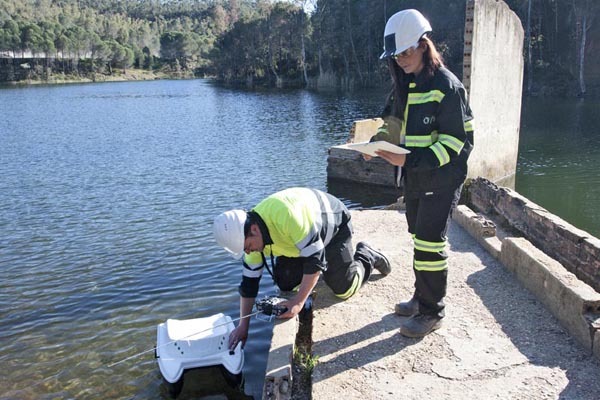 Improved Workers’ Safety: reduces exposure to contaminated waters and to solar radiation.. Cost Reduction: only requires one operator. 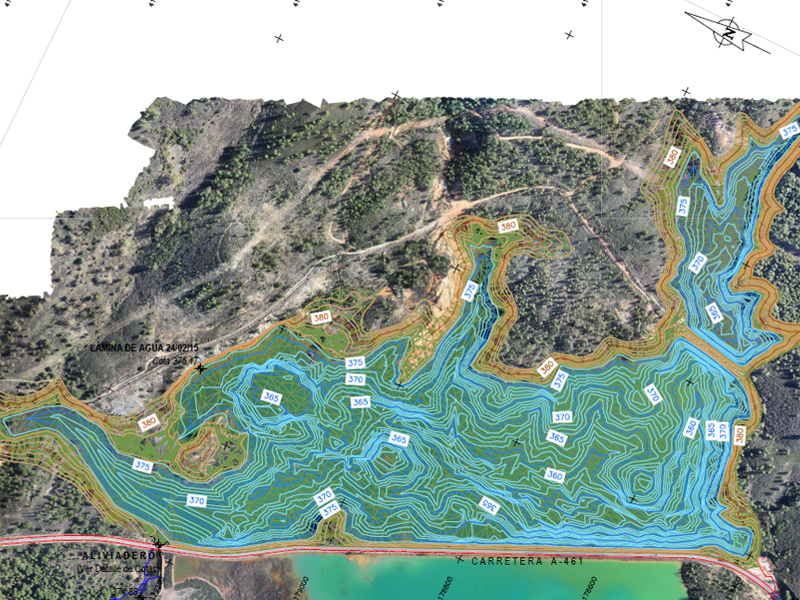 Real time Data: the results of the measurements available immediately. Lighter and shallower:can take precise measurements in shallow waters. Noise and contamination reduction: : thanks to the use of electric motors.